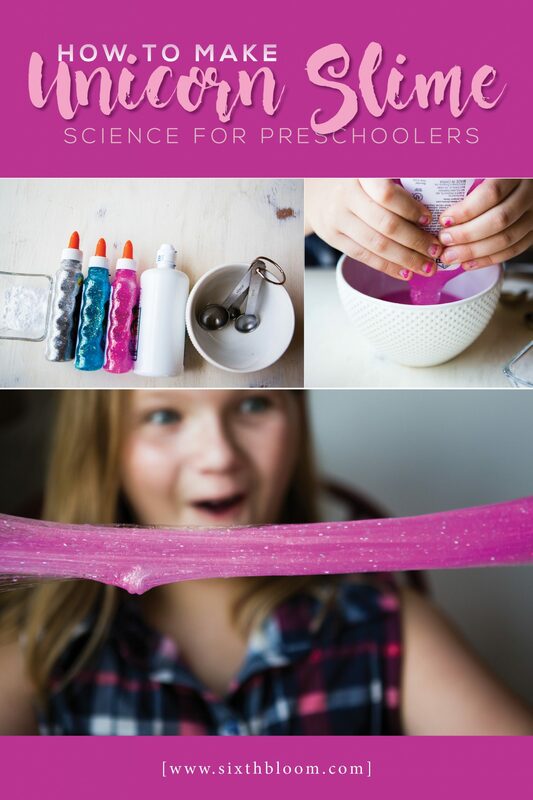 Showing you how to make unicorn slime – an easy science activity for preschoolers including a how to make slime video. 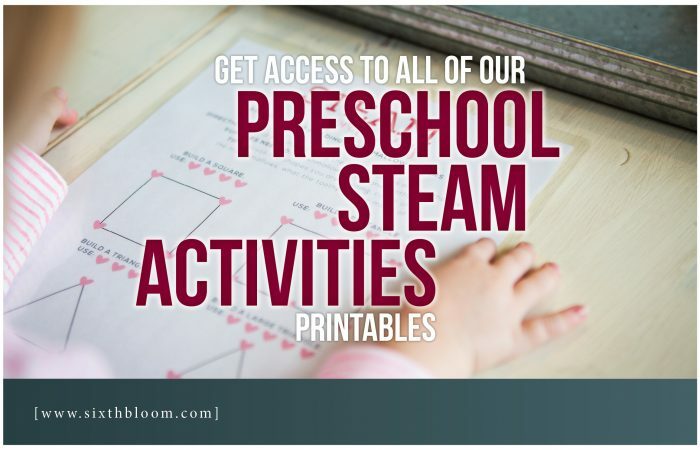 Easy STEAM activity for preschoolers. Last week we made a Lemon Volcano and had the best time experimenting through that science activity for my preschooler. With food coloring, baking soda and lemon juice we had some pretty whacky and fun volcanoes. 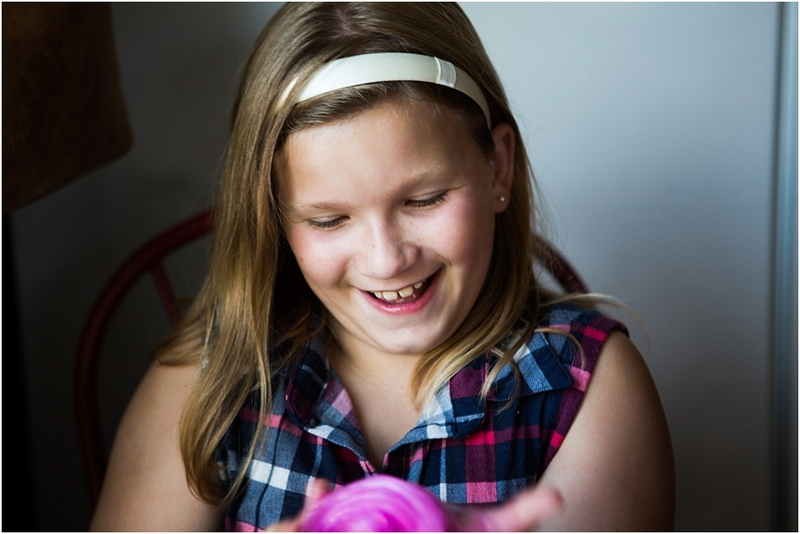 This week we were all about Unicorns and making unicorn slime. 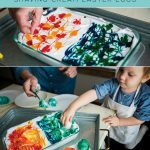 Teachers or moms, if you are looking for a very EASY Science activity for your preschooler I can’t recommend these two activities and experiments more. Very little prep work on your end, easy for the preschoolers and quick activities. Yet lots of learning involved through being a STEAM Activity for preschoolers. 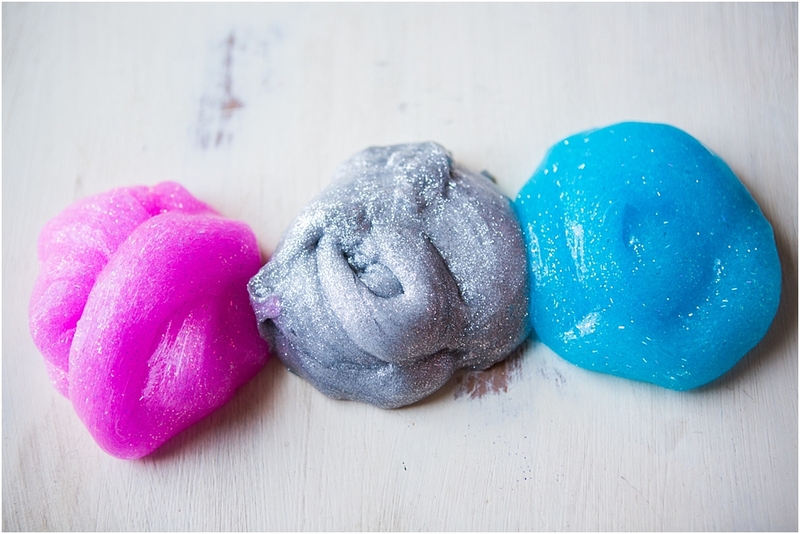 As you know the rave is unicorns…amongst any little girl so why not make some fun unicorn slime! 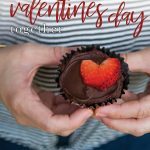 We were inspired by the best ideas for kids (which has a bit more science behind this idea too) on this one! Choose your unicorn colors – we chose blue, pink and silver – although purple would have been fun too! 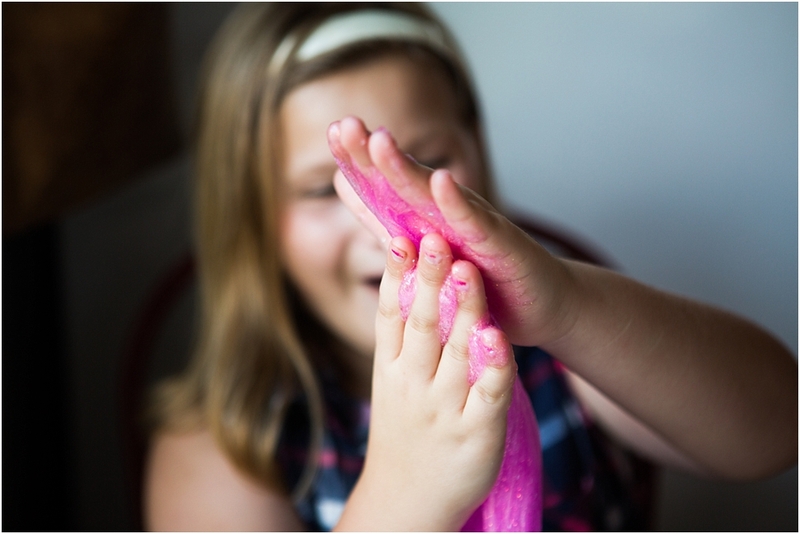 Not only is it neat science behind making slime it’s a really cool experiment for the kids to get their hands on. A great sensory activity and they don’t even know it!! Like any activity as we made our slime we talked through each step together. When you add the contact lens solution (which is actually the essence of boric acid) to your glue, it counteracts the glue and forms a the substance, which turns into slime – so be sure on step number 1 to start kneading, pulling, stretching your slime to get the consistency you wish for. 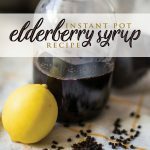 This recipe worked for us the VERY first time without fail so we’re hoping for the same for you! 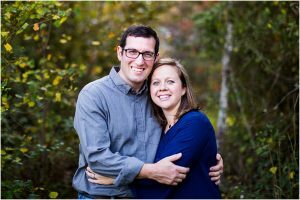 1 1/2 TBSP – Eye contact solution – be sure your brand of contact solution contains boric acid and sodium borate otherwise it may not work properly. If you choose to make floam – you can add the foam beads – we are going to try it with the foam beads next time! 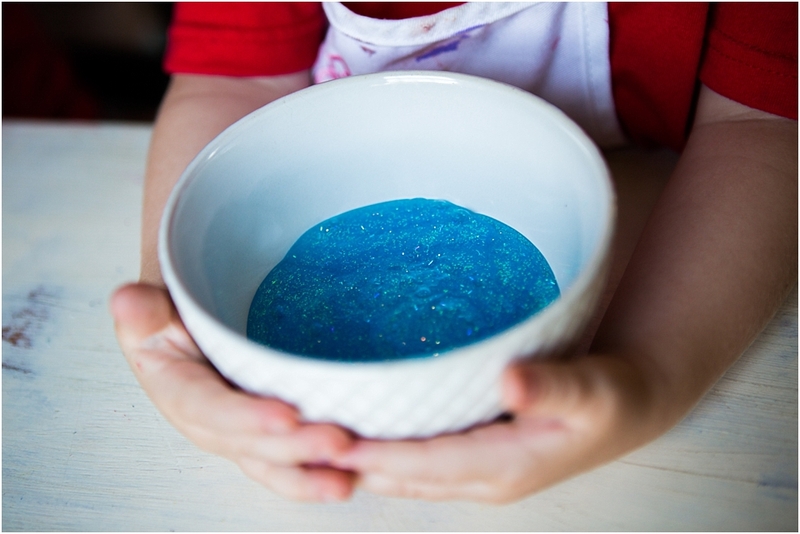 The perks of using Elmer’s Glitter glue – No messy stained hands…no having to add food coloring to your glue…no extra glitter needs to be added which we ALL KNOW glitter makes a mess on the hands and everywhere else!! 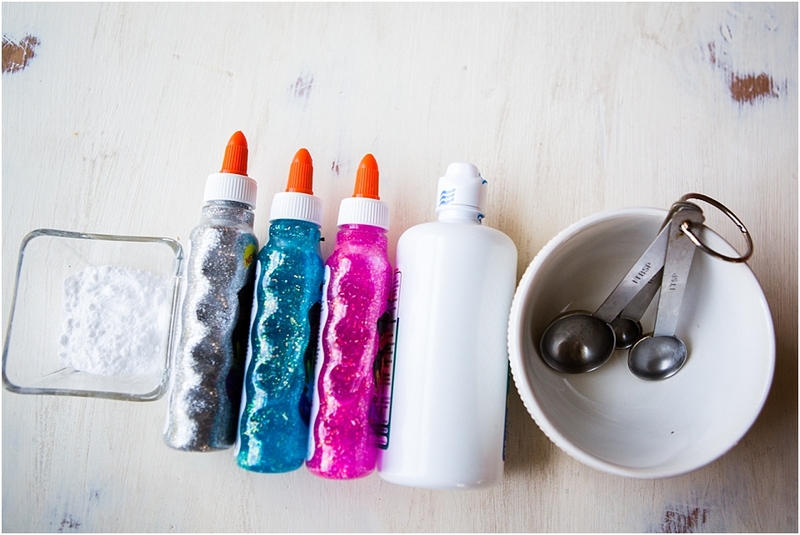 Major perks behind using Elmer’s Glitter glue! 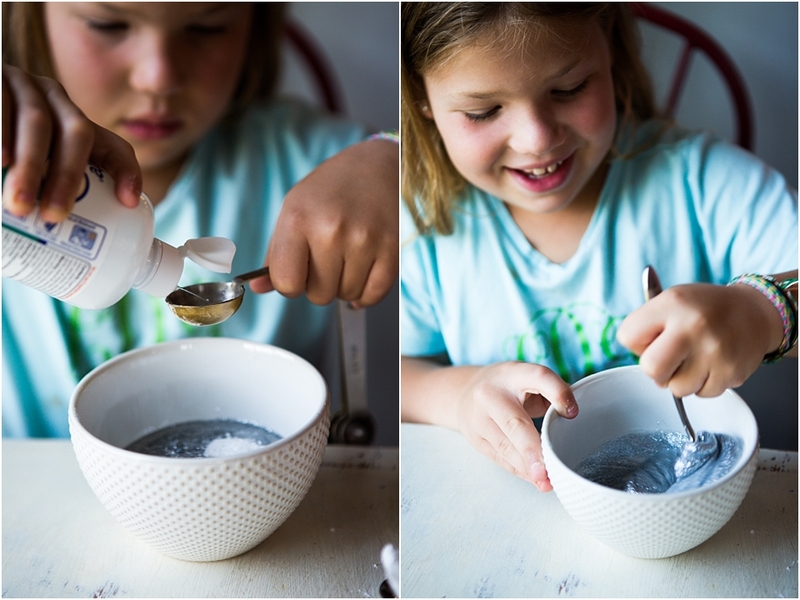 Get a glass mixing bowl to mix your slime in. Empty a bottle of Elmer’s Glitter Glue into the bowl. Add baking soda – mix thoroughly. Slowly mix in your contact solution 1/2 TBSP at a time. We found out that the slime will be super sticky at this point – which at first you start thinking what have we done wrong…nope…just start kneading it and within a few minutes it will begin to be more slime than sticky mess. Be cautious – adult supervision is recommended, wash hands after touching the slime and materials, use gloves if you wish or have sensitive skin! 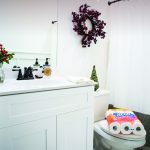 We stored ours in a zip-lock bag, keeping it air tight and it should last up to a little over a week if stored right when the kids aren’t playing with it – which for me was most all of the time…she was mesmerized! 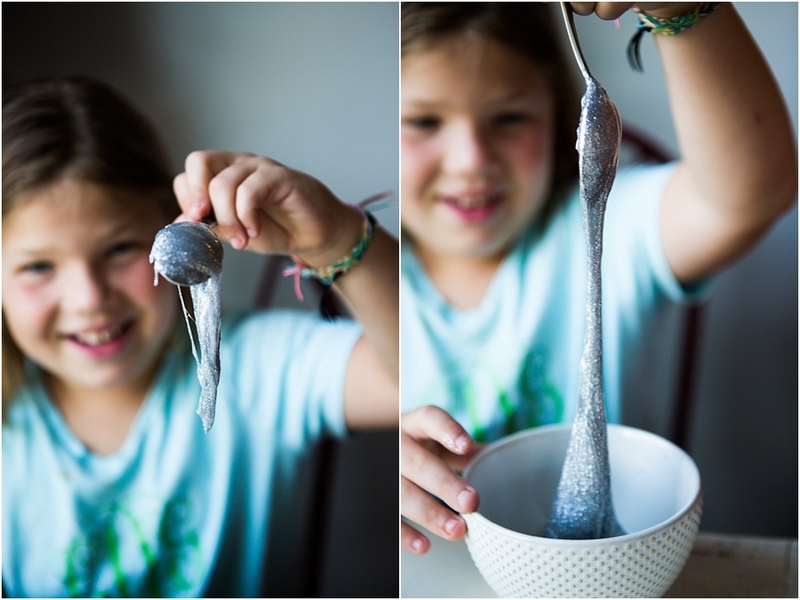 Our slime literally lasted about a week and then we tossed it and are ready to try a new kind soon.